Voted greatest mystery novel of all time by the Crime Writers' Association in 1990, Josephine Tey recreates one of history's most famous - and vicious - crimes in her classic bestselling novel, a must read for connoisseurs of fiction, now with a new introduction by Robert Barnard. Inspector Alan Grant of Scotland Yard, recuperating from a broken leg, becomes fascinated with a contemporary portrait of Richard III that bears no resemblance to the Wicked Uncle of history. Could such a sensitive, noble face actually belong to one of the world's most heinous villains - a venomous hunchback who may have killed his brother's children to make his crown secure? Or could Richard have been the victim, turned into a monster by the usurpers of England's throne? Grant determines to find out once and for all, with the help of the British Museum and an American scholar, what kind of man Richard Plantagenet really was and who killed the Little Princes in the Tower. The Daughter of Time is an ingeniously plotted, beautifully written, and suspenseful tale, a supreme achievement from one of mystery writing's most gifted masters. Josephine Tey was a pseudonym of Elizabeth Mackintosh. Josephine was her mother's first name and Tey the surname of an English Grandmother. 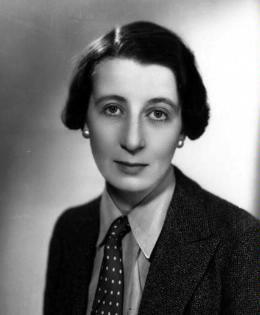 As Josephine Tey, she wrote six mystery novels including Scotland Yard's Inspector Alan Grant. The first of these, 'The Man in the Queue' (1929) was published under the pseudonym of , whose name also appears on the title page of another of her 1929 novels, 'Kit An Unvarnished History'. She also used the Daviot by-line for a biography of the 17th century cavalry leader John Graham, which was entitled 'Claverhouse' (1937) . Mackintosh also wrote plays (both one act and full length) , some of which were produced during her lifetime, under the pseudonym Gordon Daviot. The district of Daviot, near her home of Inverness in Scotland, was a location her family had vacationed. The name Gordon does not appear in either her family or her history. Elizabeth Mackintosh came of age during World War I, attending Anstey Physical Training College in Birmingham, England during the years 1915-1918. Upon graduation, she became a physical training instructor for eight years. In 1926, her mother died and she returned home to Inverness to care for her invalid father. Busy with household duties, she turned to writing as a diversion, and was successful in creating a second career. Alfred Hitchcock filmed one of her novels, 'A Shilling for Candles' (1936) as 'Young and Innocent' in 1937 and two other of her novels have been made into films, 'The Franchise Affair' (1948) , filmed in 1950, and 'Brat Farrar' (1949) , filmed as 'Paranoiac' in 1963. In addition a number of her works have been dramatised for radio. Her novel 'The Daughter of Time' (1951) was voted the greatest mystery novel of all time by the Crime Writers' Association in 1990. Miss Mackintosh never married, and died at the age of 55, in London. A shy woman, she is reported to have been somewhat of a mystery even to her intimate friends. While her death seems to have been a surprise, there is some indication she may have known she was fatally ill for some time prior to her passing.